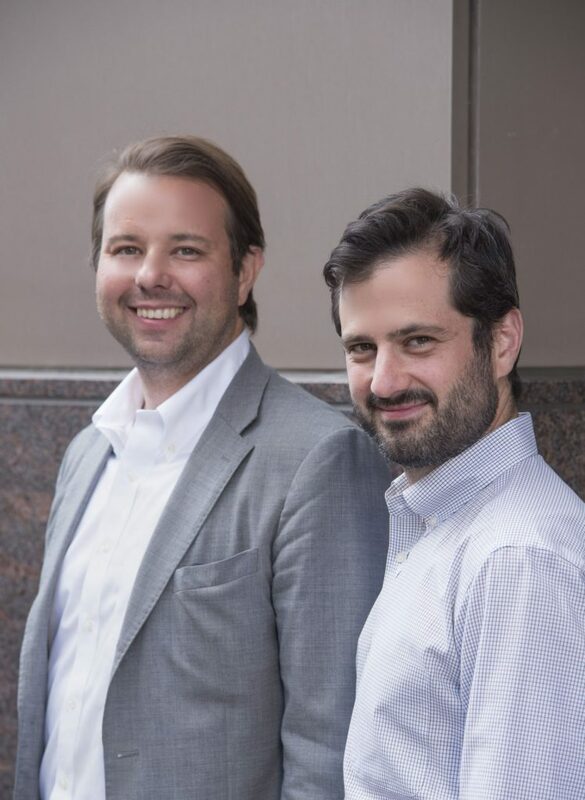 BNA Associates Principals Philip Welker and Ethan Orley have one major focus: to create unique, urban properties that fulfill underserved areas. They do this through their “renovate and reposition” model— by maintaining the skeleton of each historical building they satisfy the tastes of both tourists and neighbors. The pair wants their boutique hotels and private residencies to speak to the character of every neighborhood. After meeting at a New York University real estate master’s program, Philip and Ethan emerged into the Manhattan working world right when the recession hit. When most of their projects came to a screeching halt, they began tossing back and forth business ideas over games of tennis. Philip, a Clarksville, Tennessee native, was courting a few deals in the South. Ethan, whose background included working with his family real estate company in Michigan, had access to investors. Both wanted their dollars to go further and get their hands dirtier on the development side. Together, they decided to pursue smaller cities, which would allow them to take on greater risks and produce concepts that couldn’t be replicated. Their company’s real ace in the hole was stumbling across the Southeastern real estate market right at the height of its boom. BNA Associates became the ideal outlet for the partner’s omnivorous, and voracious, entrepreneurial appetites. Since its founding they have tackled mixed-use and hospitality-driven projects like the Fairlane Hotel in Nashville and the Hotel Clermont in Atlanta, both opening later this year. By taking leaps of faith and following a different vision than most developers, the perfect connections and capital naturally aligned. How did you know that the Southeastern real estate market was on the cusp of exploding? Philip: Honestly, we didn’t. I grew up in Clarksville and cut my teeth developing real estate in Knoxville, which was just starting to see its downtown revitalize. After completing my undergraduate degree, I was lucky to get in with some local developers who allowed me to take on my own rehab jobs. After the crash, when everything in our industry stopped in New York, I was fortunate to find some properties in Nashville, which is when I decided to move home. I wanted to be within driving distance of the projects. Describe the conversation that occurs prior to investing in a property. Philip: When the Clermont Hotel in Atlanta was brought to us we asked ourselves, why are we the ones who are able to buy it? What do other developers know that we don’t given that the property had been sitting vacant for so many years? We realized our method was different from most others. When I found the Fairlane Hotel in Nashville, everyone questioned why I was so enamored by this off-the-radar office building. Since that discovery, the area, a business and government district, has turned into a boutique hotel row. However, at the time I was simply going on a gut instinct. I felt there was a certain flavor to the building and neighborhood that would make the property successful. Similarly, when we began developing our hotel in Knoxville, a lot of folks questioned its viability because of the small number of rooms and relatively low rates in the Knoxville market. What is terrifying about a feat like opening the first boutique hotel in Knoxville? Ethan: The revival of historical hotels had already been in full-swing on the coasts. That gave us the confidence that there was a demographic for our ideal and that people craved a different option than a generic, franchise model. They wanted something that embodied the spirit of their community. Of course there were naysayers because the small towns hadn’t yet experienced this idea, however within a few weeks we were in the black and proving them wrong. Nowadays, cities don’t consider themselves complete without a boutique hotel and chef-driven restaurant. What is something most people wouldn’t realize about the hotel industry? Philip: If you own and operate a boutique hotel, you are equally as much in the restaurant business. It’s imperative to have the whole picture, which includes great food and beverages. Ethan: I was lucky enough to sit down with one of the founders of the Ace Hotel who gave me a great piece of advice: “Hire people outside of the hotel world who won’t give you a three-flavors type of model.” It’s so easy to fall back on what you know. Our goal is to do something different and never fall into a rut. Philip: We are getting better at that everyday. When you’re first starting out as a company, you tend to emulate a little more. Now that we have the experience and confidence, Ethan and I feel more at ease dipping into our own bag of tricks. Can you tell me a bit about the process of designing your properties? Ethan: The skin of the building and its energy influence the brand identity. At the end of a project, we always want to think, that cannot be done again. Philip: Our motivation is to let the property be what it wants to be. Ethan: We want to produce something fantastic that no one else would ever fathom putting the energy into. Philip: The ability to work anywhere in the world. Ethan: The satisfaction that, if done properly, a property will last for a really long time. It’s also gratifying to merge my three passions: real estate, art, and business, into one.